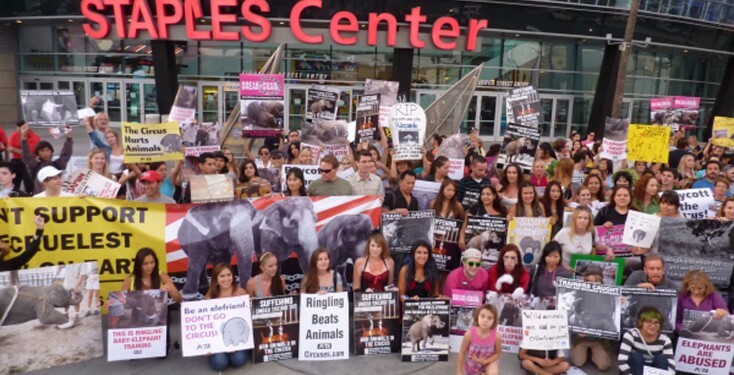 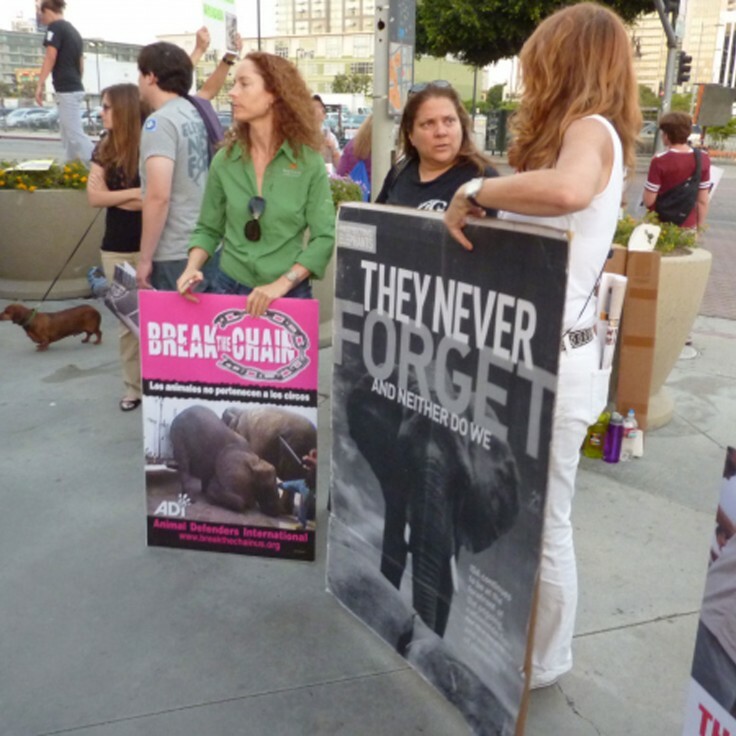 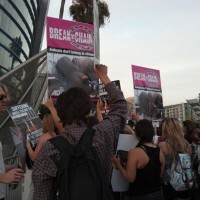 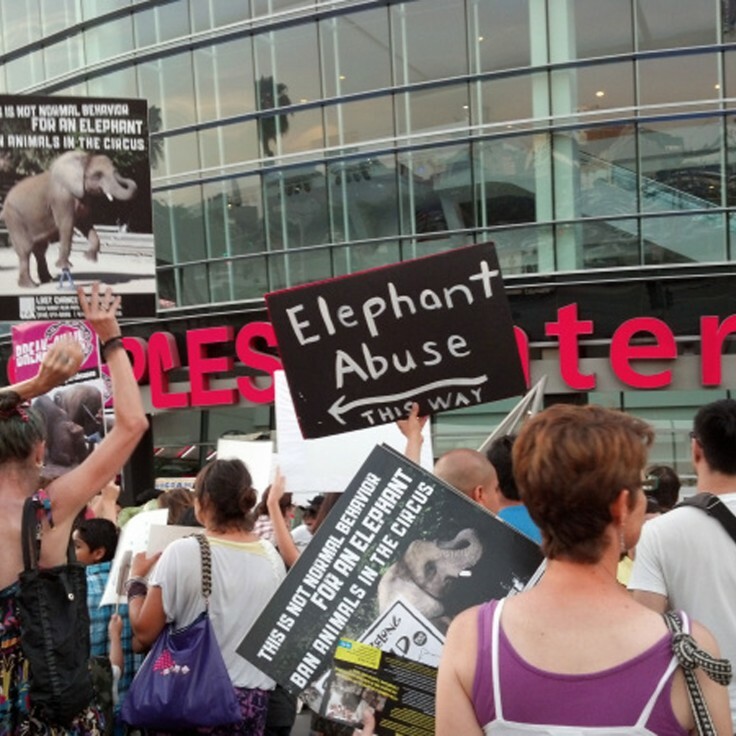 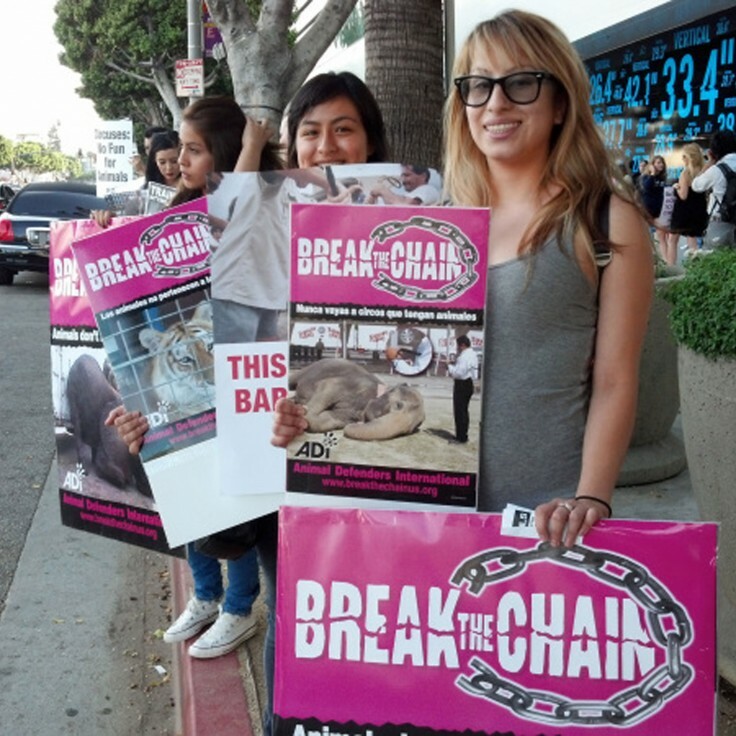 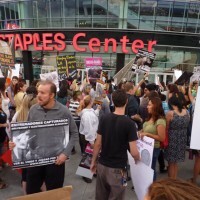 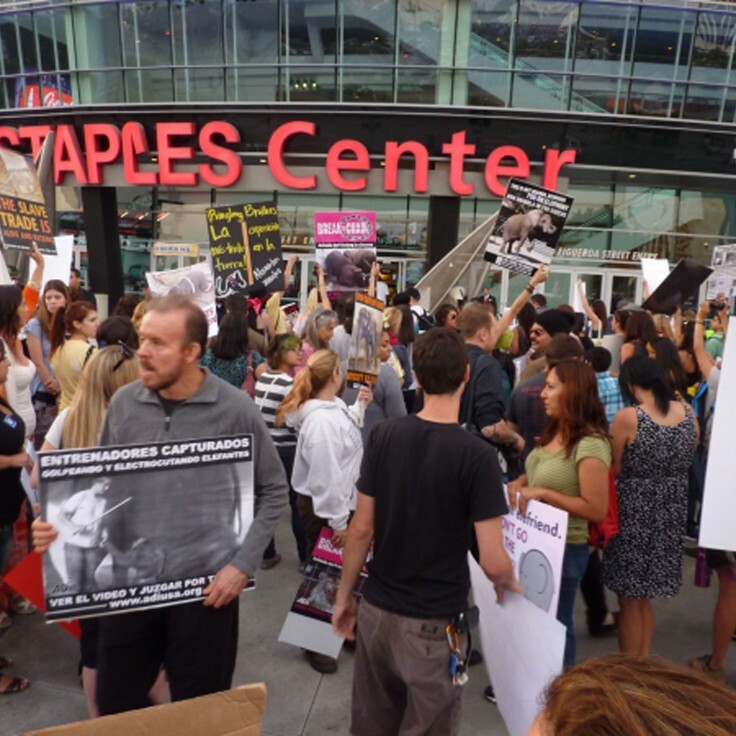 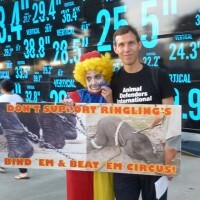 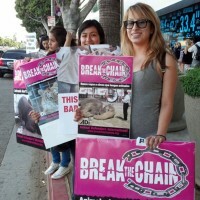 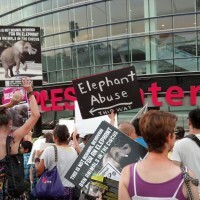 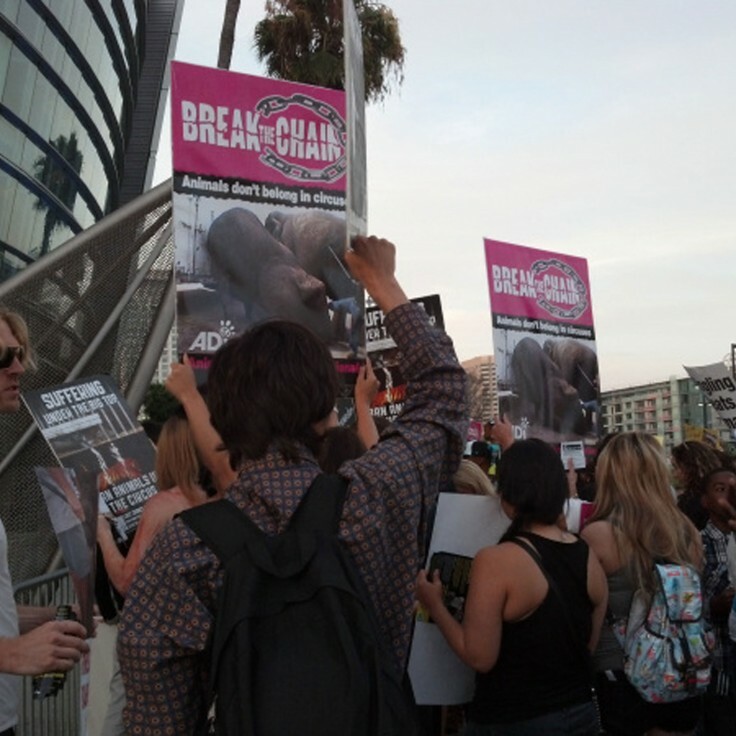 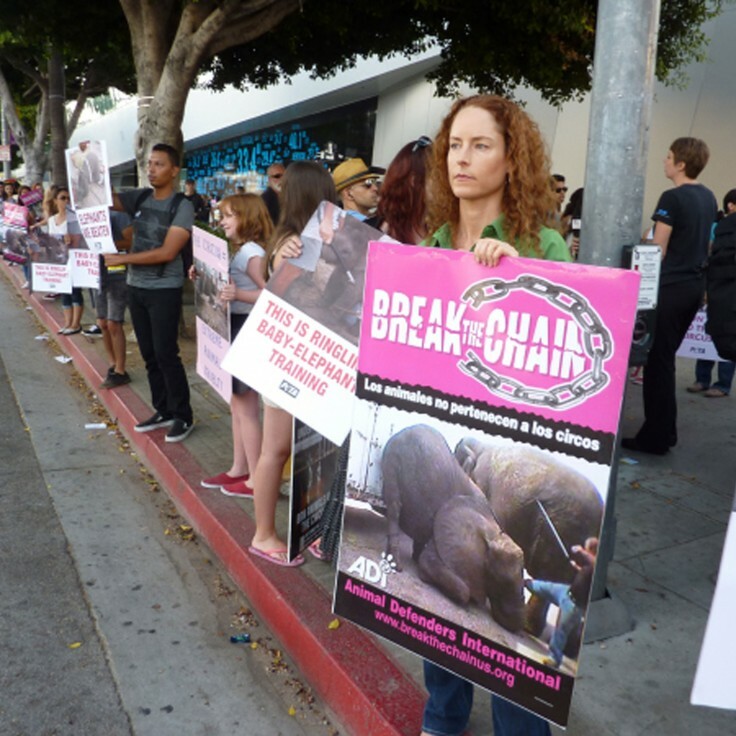 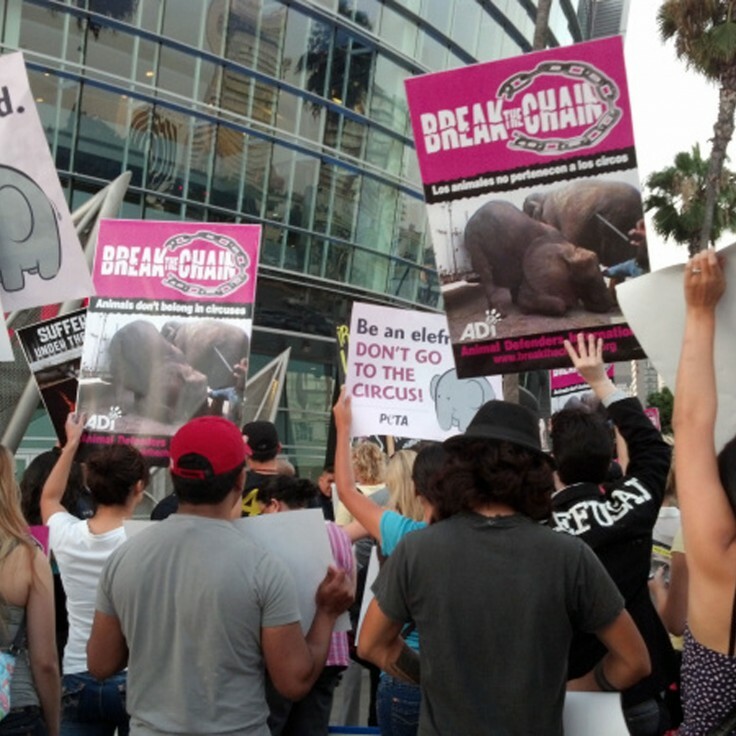 [slideshow]Hundreds of activists joined Animal Defenders International (ADI) at the Staples Center in Los Angeles to protest Ringling Bros Circus on opening night. 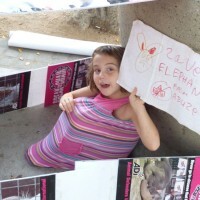 Circus-goers were educated by enthusiastic advocates, sharing details about how magnificent and intelligent wild animals like elephants and tigers are suffering in the circus.Traveling circuses cannot meet the physical, psychological or behavioral needs of wild animals, which suffer severe confinement, social deprivation, prolonged lengths of time in trailers and train cars, brutal control methods and physical violence. Not just on the streets, ADI has been walking the halls of Los Angeles City Hall, working hard to educate Councilmembers and urge them to support an effort to protect wild animals from being forced to perform in traveling circuses. 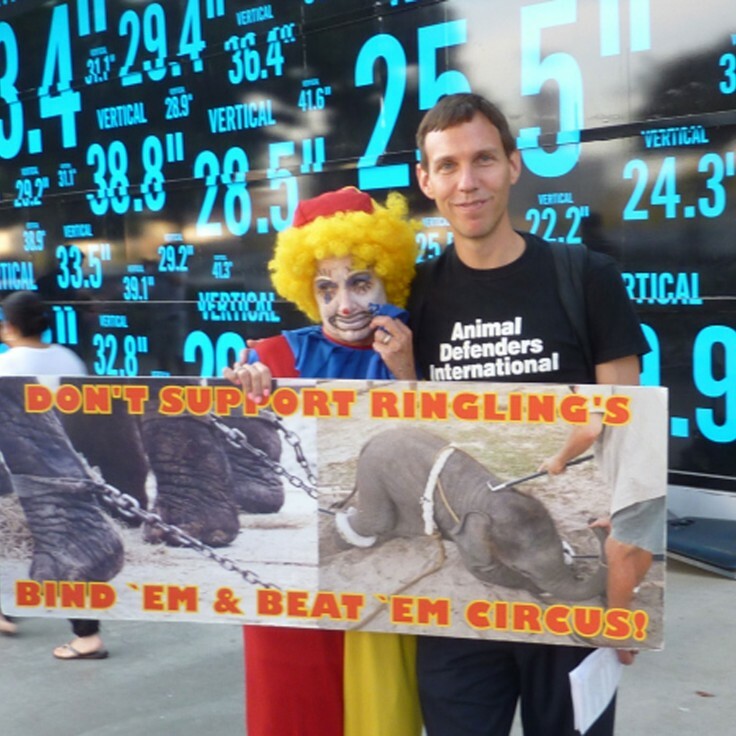 ADI is working closely with Councilman Paul Koretz, a local champion for animals, who is determined to protect wild animals and public safety when circuses come to town. Los Angeles area residents: Click here to support ADI’s efforts to protect wild animals from circus abuse in Los Angeles! 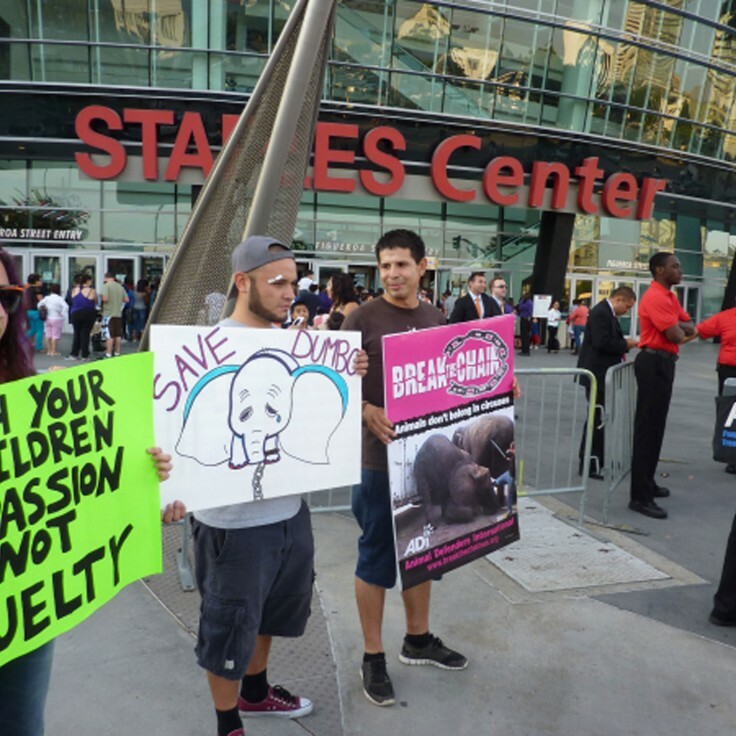 Please email and call Councilmembers and urge them to Join Councilmember Koretz’s efforts to protect wild animals in traveling circuses. 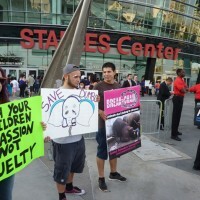 Also, click here to sign ADI’s online petition and circulate it among friends and family who live, work and do business in Los Angeles. 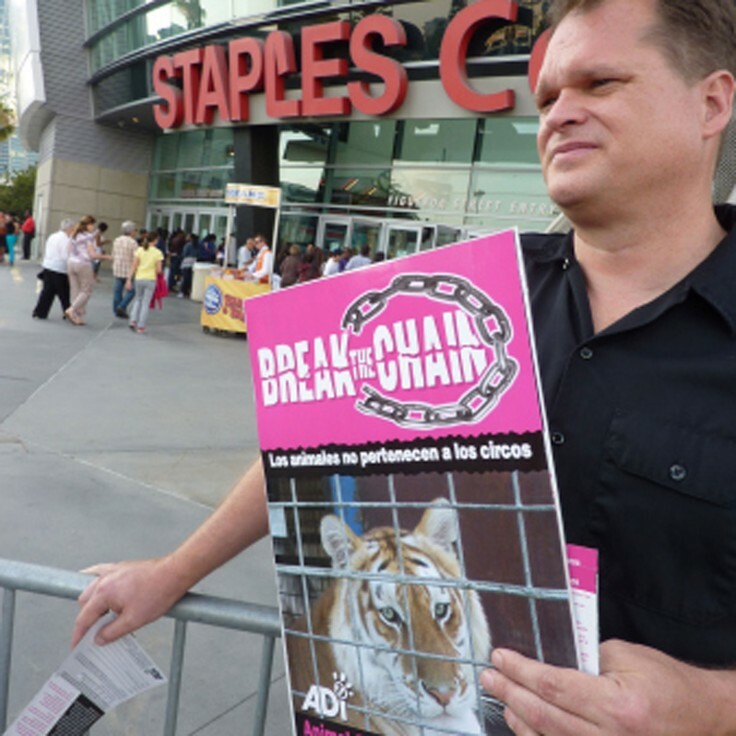 Please consider working to pass an ordinance in your city or county to ban wild animals from being forced to perform in the circus. We can provide you with the materials and support you need for success! 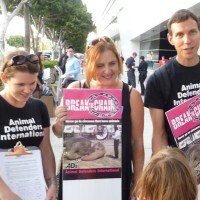 Contact ADI’s Los Angeles office for more details: usa@ad-international.org or 323-935-2234.